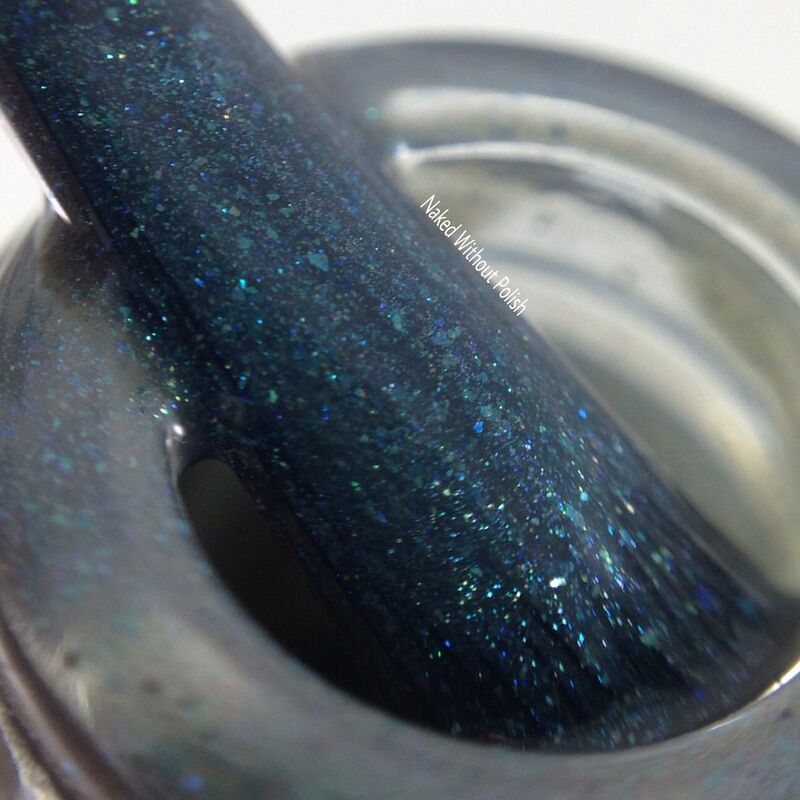 On Monday, I showed you all the September 2016 Fan Favorites Duo from Anchor & Heart Lacquer. It was released a bit late, so you can still grab it until Friday! Well, since it IS October now, the October Fan Favorites Duo is available. I figured I will show it off in case some one you wanted both duos. 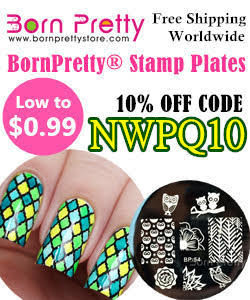 Give you a chance to see them and be able to make up your mind and just pay shipping once. Trust me...you're going to want both duos! 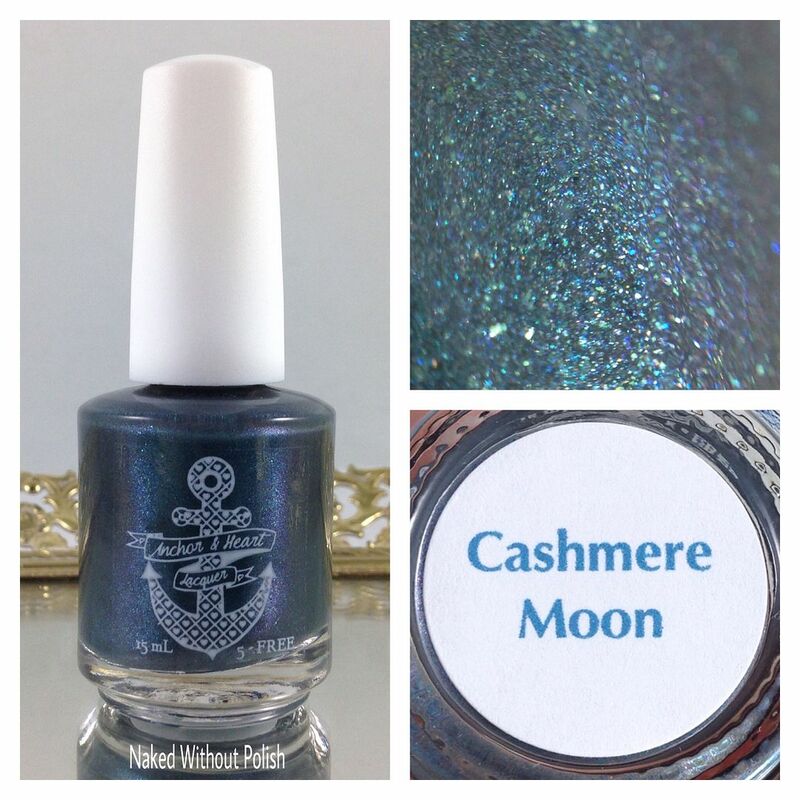 Cashmere Moon is described as "a murky blue-green creme polish, that looks grey in some lighting, that features a soft blue glow/shimmer, and a subtle pink/purple shift". Shown is two coats of Cashmere Moon with top coat. Cashmere Moon is so much more than I could capture in photos. 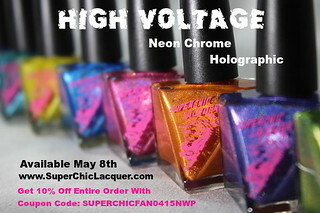 The color, the gentle shimmer, the flakies...they all work together to give some beautiful dimension and depth to this polish. Smooth application and fantastic formula. 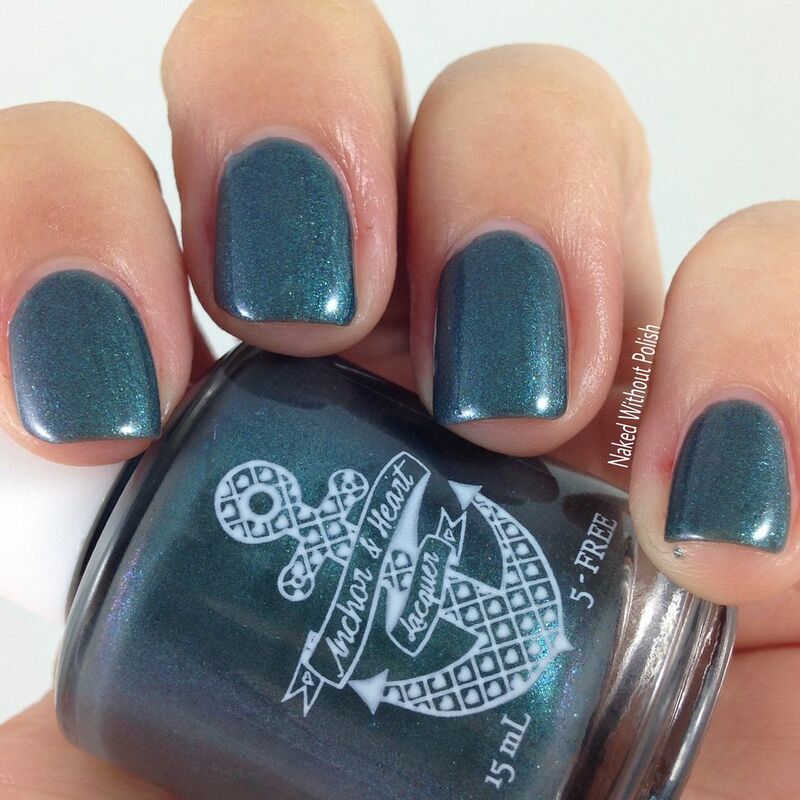 Those of you who enjoy nail art, this is a great color to use for night skies in Halloween manis! 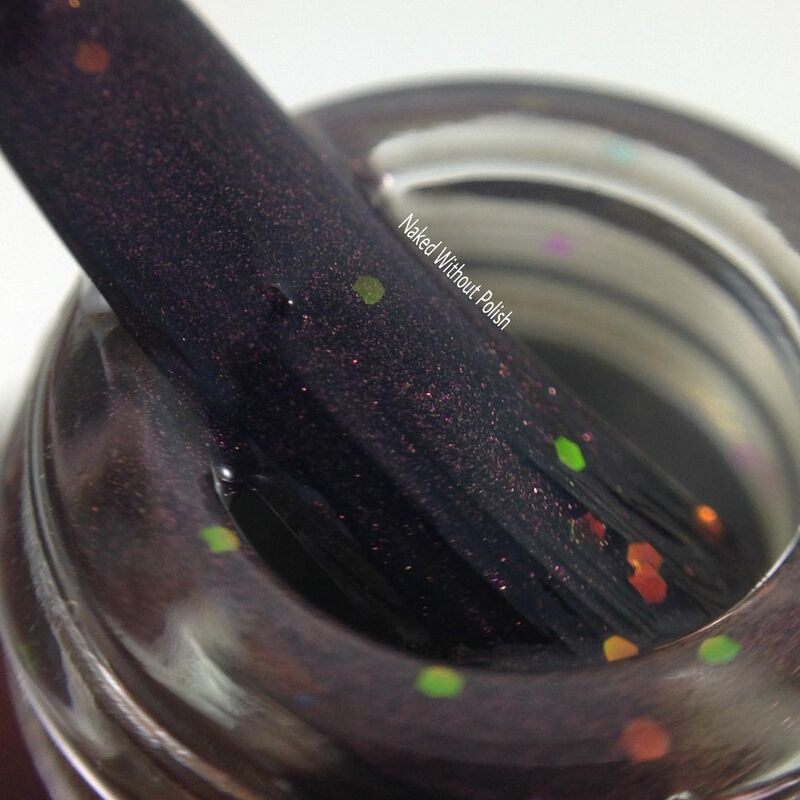 Autumn Stars is described as "a black creme base with strong red shimmer, and iridescent glitter that shifts red/orange/green/blue". 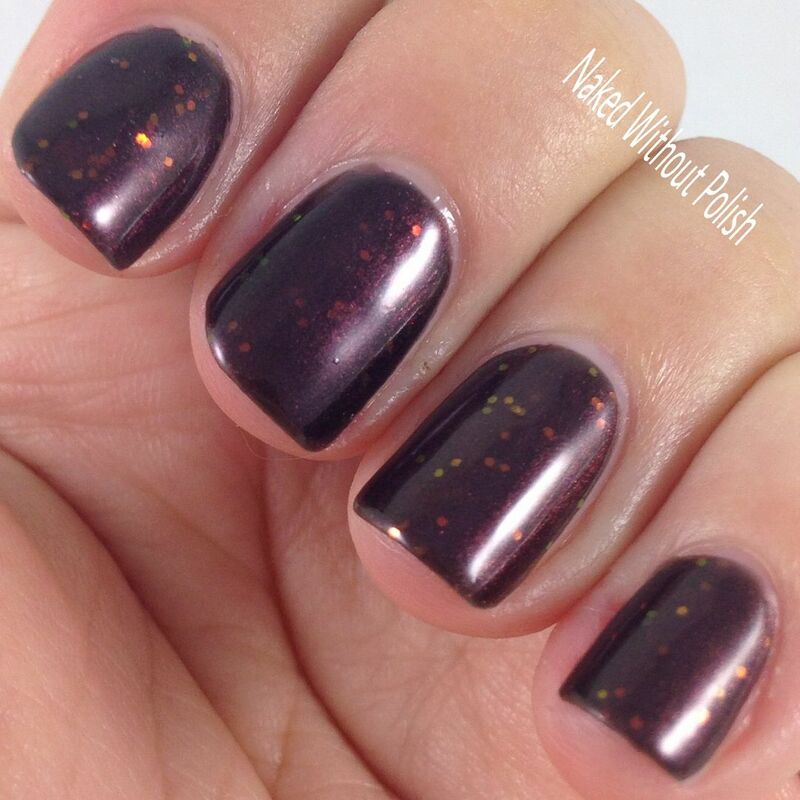 Shown is two coats of Autumn Stars with top coat. Autumn Stars is so simple, yet so unique. 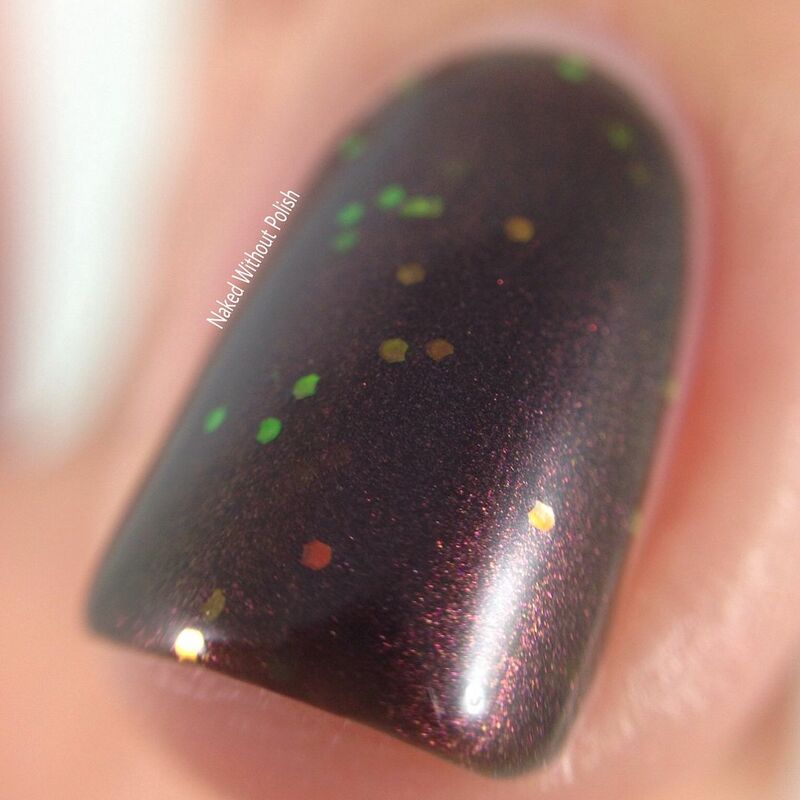 I adore how the iridescent glitter pops against the dark base. 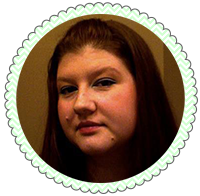 Wonderful formula, no issues with sinking glitter or fishing for glitter, and even better application. You can't go wrong with this one at all! The October Fan Favorites Duo can be yours, now, for $19! Only want one of them? No problem! 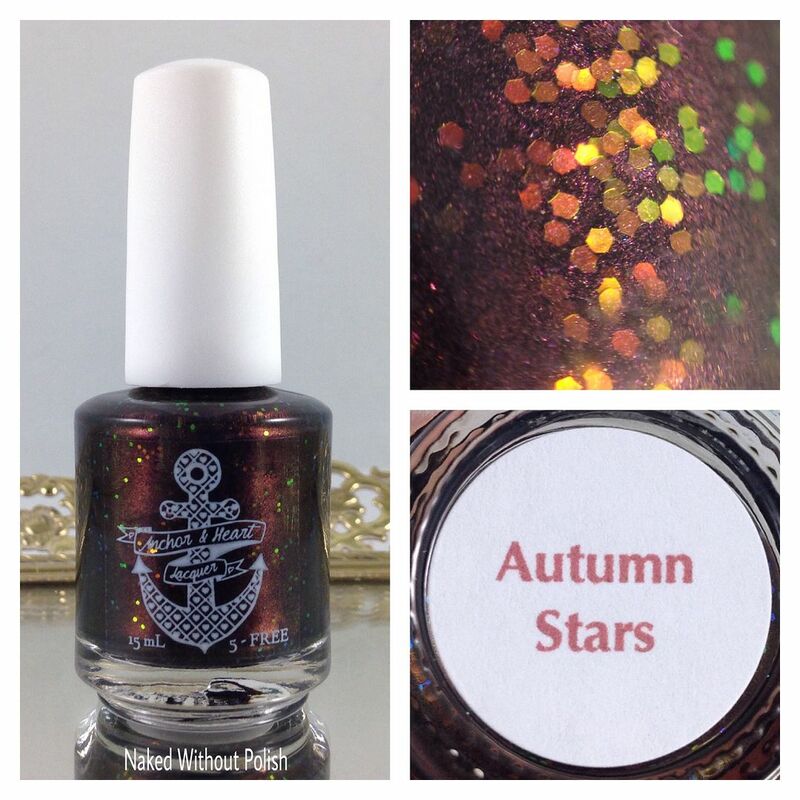 Autumn Stars and Cashmere Moon are available individually for $10 each. She has been doing such an amazing job with these duos! She really just needs to set up a subscribe feature for the duos. Each set gets better and better! You'll be able to get this specific duo until November 7th. Don't miss out! Make sure you are following Anchor & Heart Lacquer on all of her social media platforms (links below) to stay updated on news, releases, restocks, and sales. YAY FOR FALL COLORS!! These two are so warm and cosy! What do you all think of these? What are your favorite fall shades?